I’ve written about this before, but I really love flying in World of Warcraft. My Druid’s raven-like Flight Form is my favorite part of the game. It’s the source of some of my best memories in the game. When Blizzard removed flying from Pandaria I was annoyed. Sure, we could fly at the level cap, so I could still flit around eventually, but it was a slog to get there. Draenor doesn’t have flying. It’s possible WoW never will again, at least in newer content. The thread about this change on the official forums is pretty epic, running fast and furious since its inception, though it’s locked now. Closing it off is sure to spawn more, hydra-like. The sequel is already off to a roaring start. I’m on record as being a fan of flight. I think this is a Bad Idea on Blizzard’s part. It will be most interesting to see if it matters, either in the short term or the long term. It has mattered to me already, though. I won’t be buying Warlords of Draenor. I was considering it, and almost did last time it was on sale. At present, though, with the “Facebook-ization” of the game via Garrisons and the cancellation of flight, it just doesn’t have enough draw to get me back into new content. I might revisit Pandaria or Northrend at some point, since they are beautiful to fly around in, but the newer stuff just doesn’t cut it. I’m not saying “Nevermore” just quite yet, but it’s ever closer. Life’s busy around here, so while Operation: Backlog is still running, we have other wheels to turn and it’s stalled a bit for a moment. 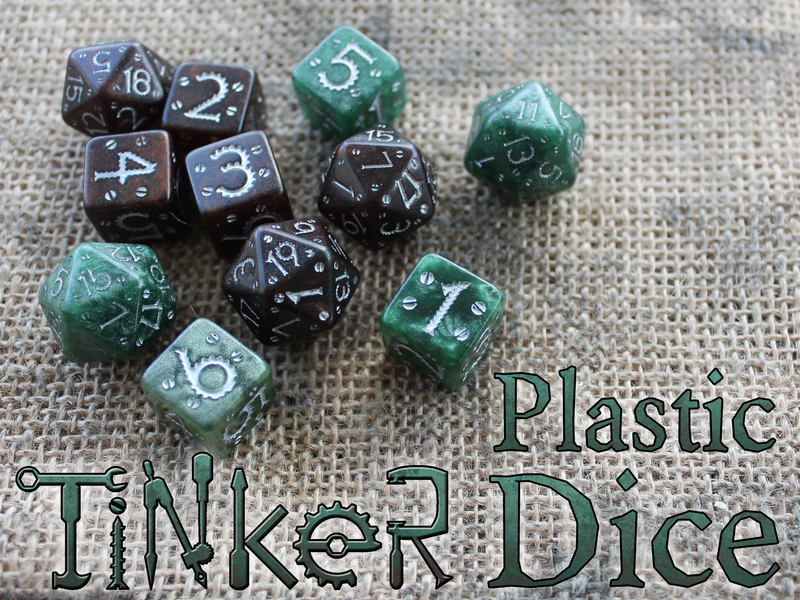 We started out on Kickstarter with plastic dice, and while those didn’t get enough traction, we’re hoping we can make another run at it and get them made this time. Please check it out and we’d really appreciate it if you’d spread the word on this! We have big plans to unlock some new colors, and the more the merrier!